For the fourth time, a remarkable duo of talented performers will entertain fans of great music in Russellville next week. Rosemary Cundiff-Brown, who lives in Louisville, and Chris Kramer, who is a preacher in Russellville, will present a public performance sponsored by the Logan County Republican Executive Committee. It’s the third straight year for them to present a Southern Nights Concert. No politics are mentioned on this night, however. Their first time to sing together was at a Logan County Lincoln Day Dinner. That was a political event. This year’s concert will be held Thursday, Aug. 21, at the Logan County Extension Office. The doors open at 5 p.m. and the “Southern Style Picnic” meal will be served at 5:30. The concert is scheduled to begin at 7. 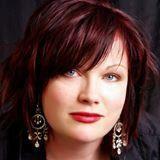 Rosemary Cundiff-Brown is a 1990 graduate of Logan County High School where she was a standout in speech and drama. She also was a member of the internationally acclaimed forensics team at WKU, but she became more involved in drama before her graduation with majors in secondary education and theatre. She has built North Oldham High School into one of the state’s best speech teams, which is also successful on the national level. At the close of the high school forensics season in March, Rosemary was named Outstanding Speech Coach in the state by the Kentucky High School Speech League. Her husband, Jonathan Brown, has been a professional photographer for several years, and in 2007 Rosemary joined him in Monarch Photography LLC. Both of them have earned National Merit Photographers of America status, and their photographs have been displayed not only around the nation but also internationally. Despite being so involved in coaching speech and shooting prize-winning photographs, Rosemary still finds time to use her own performance skills. She has acted in many plays, often musicals, and toured the state in her one-woman Kentucky Humanities show in the role of the late Kentucky crooner Rosemary Clooney. In fact, she gave one of those performances at this same venue in Russellville a few years ago. She has also been the female vocalist for the Louisville-based sixties band Personnel Only. Rosemary is the daughter of Zelma and J.R. Cundiff of Russellville, and her brothers, Mitch and Rex Cundiff, and their families live here. Chris Kramer, who is four years older than Cundiff-Brown, is a minister for Northside Church of Christ in Russellville. He and his wife Jeanette are not only parents but also grandparents. 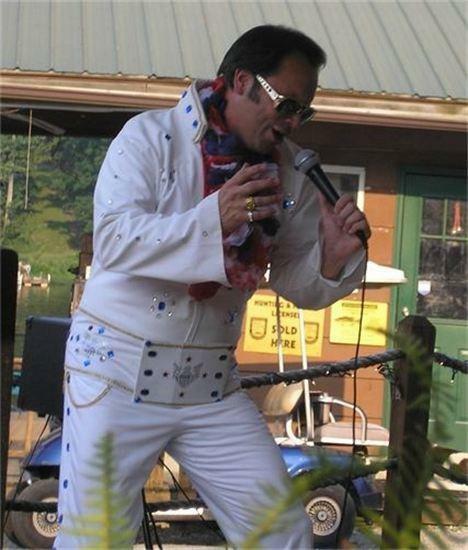 Kramer is known to many area residents and tourists as a talented impersonator of Elvis Presley. Nat and Jean Nofsinger book him to do Elvis shows at their Shady Cliff Boat Dock and Restaurant for special events. Tickets for the Summer Nights Concert are $12 in advance, $15 at the door. They are available from Keith and Bobbie Jean Burnett (726-3801), J.R. and Zelma Cundiff (726-3737 or 725-5741), Larry Noe, Sheldon and Brenda Baugh, Barry Kennedy, Robert and Jackie Gill or Joe Lawrence.